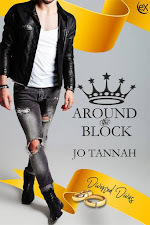 Royal Guardian by Jo Tannah Now Available for #PreOrder! Man and dragon seek those who dared harm their prince.Kallen has been away for two years to further his education. En route to his home planet, Oryon, his starship is attacked by unknown brigands. All fear the death of the heir to the kingdom, as well as those of his accompanying loyal guardians.With Bobik’s assistance, Lando Garr is the one man who can find and rescue Kallen. 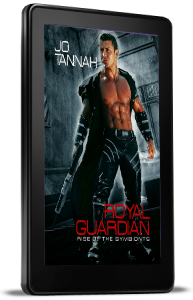 Not because he’s bound by duty as a Royal Guardian, but because the prince’s symbiont responds to no other but him. Both will stop at nothing to find Kallen. Losing him would mean Bobik’s death and Lando’s heartache.